The cooperation between the Foundation for the Preservation of Wildlife and Cultural Assets (FPWC) and VivaCell-MTS started in 2006 with the project: “Following the Sun – VivaCell-MTS and Children for Nature”. Today the brand “SunChild” bundles all environmental education and awareness raising projects implemented by the Foundation for the Preservation of Wildlife and Cultural Assets (FPWC) in cooperation with the organization’s general partner VivaCell-MTS. Today VivaCell-MTS supports FPWC’s Caucasus Wildlife Refuge project and funds a new joint project in the field of renewable energy sources since 2014. In Novembers 2012, the Foundation for the Preservation of Wildlife and Cultural Assets (FPWC) signed a joint Memorandum of Understanding with the RA Ministry of Nature Protection. Both parties see the paper as a basis for a broad range of joint activities and collaboration. The Memorandum specifies several fields of cooperation between the Ministry and FPWC in the fields of nature conservation and biodiversity protection. Since its foundation in 1989 the World Land Trust has been working to preserve the world’s most biologically important and threatened lands, and has helped to purchase and protect over 400,000 acres of habitats rich in wild life, in Asia, Central and South America and the UK. In November 2010 FPWC has signed a memorandum of understanding with the British organization World Land Trust (WLT). Currently the WLT contributes to the Caucasus Wildlife Refuge project mainly on two levels: through WLT’s global Keepers of the Wild FPWC is supported to secure important lands for conservation Through WLT’s special Leopard Appeal FPWC is enabled to undertake field researches with the aim to map the migration corridor of the highly endangered Caucasian Leopard through Armenia. FPWC is the only partner of WLT in the South-Caucasus region. IUCN NL is the platform for the 35 IUCN members based in the Netherlands. The members are civil society organizations, scientific institutions and the State of the Netherlands. IUCN has supported FPWC through its programme Small grants for the Purchase of Nature (SPN). The territories leased with the support of IUCN NL form a core area with a high diversity of flora and fauna including a number of endemic and globally important species. In close cooperation with World Land Trust IUCN NL has established a long term counseling partnership with FPWC. SunChild Eco Tours was established in 2006 as a social enterprise that connects community development and nature conservation with a sustainable tourism concept. SunChild Eco Tours coordinates all visits in the Caucasus Wildlife Refuge (CWR), which is a 4000 hectare protected area with a unique natural environment. Hiking, biking, horse-riding and bird watching tours are also offered in Armenia’s remote regions, making it an ideal destination for nature lovers worldwide. Urtsadzor is located near the Vedi River, on the slopes of Urts mountains, 1075 meters above sea level, 9 km east from the city Vedi. The Foundation for the Preservation of Wildlife and Cultural Assets cooperates closely with the community pursuing the joint aim of wildlife preservation and nature conservation, as well as community development through creating new job opportunities. The cooperation of FPWC and Urtsadzor community creates new income sources for the local population based on the sustainable use of natural resources. The partnership between the Foundation for the Preservation of Wildlife and Cultural Assets (FPWC) and Natura ARTIS Magistra, the Royal Zoo in Amsterdam was the big output of ARTIS and Yerevan Zoo long-lasting collaboration during which many conservation projects were supported by the Royal Zoo in Amsterdam. Since 2011 Natura ARTIS Magistra has been FPWC’s main partner in the transformation process of Yerevan Zoo in the frames of the implementation of “FPWC for Yerevan Zoo” project. Most of the Artis’s funding went towards the Yerevan Zoo’s improvement, renovation and construction of enclosures, as well as FPWC’s conservation projects. This partnership brought unique resources, solutions and international experience to Armenia. FPWC relies on the innovation, flexibility, and technical expertise of Natura ARTIS Magistra. Working through one common mission, which was to save Gyumri Zoo animals, a successful partnership has begun between the Foundation for the Preservation of Wildlife and Cultural Assets (FPWC) and the Worldwide Veterinary Service (WVS). On February 2, 2016 two organizations have signed a memorandum, according to which they will work together towards in-situ conservation, animal rehabilitation and rescue initiatives in Armenia. The result of this partnership designs an idea to establish a quarantine station for animals (the first inhabitants of the station are lions from Gyumri Zoo) in the Caucasus Wildlife Refuge in Armenia. The quarantine station will also be the foundation stone of the Wildlife Rescue Center, an even larger sustainable project the partners are currently designating. In 2010 Bears in Mind first started liaising with FPWC about the many bears in need in Armenia. There are an estimated 80 bears in captivity in need of help. They live in small cages at petrol stations, restaurants, hotels but also in private ownership. The owners keep the bears to attract more customers or just as status symbols. Very often the animals are captured as cubs after their mother has been shot dead. As a result the population in the wild is under severe pressure. A number of the bears in captivity will be re-homed to the new ‘Bear Forest’, which FPWC is developing in the zoo of the Armenian capital Yerevan in cooperation with Bears in Mind and Ouwehands Dierenpark. The first steps towards development were made in 2012. At the beginning of 2015, construction of the almost 10 acre ‘Bear Forest’ was started. Many construction materials, such as mesh wire fences, power generators and electric fencing were donated with the help of Bears in Mind. In 2016, FPWC and the French Embassy to the Republic of Armenia cooperated in the framework of the SunChild 6th International Environmental Festival. With the support of the Embassy, FPWC organized a photo-exhibition made by the renowned French producer and photographer Yann Arthus-Bertrand’s entitled “Sustainable Development, Why?”. The collaboration scope has expanded drastically in 2017: the French Embassy supports development of the Eco-lodge in the Caucasus Wildlife Refuge and tourism promotion in the region. Moreover, the Embassy contributes to another essential project : the creation of Eco-villages network in Armenia, with a special focus on renewable energy promotion, environmental awareness raising and biodiversity conservation. OSME was founded in 1978 as the successor to the Ornithological Society of Turkey and was expanded in 2001 to cover the Caucasus and Central Asia. Our goal is to stimulate an interest in birds, and promote bird conservation and research in the Middle East, the Caucasus and Central Asia. Sandgrouse, OSME’s research journal, was first published in 1980. As well as ornithological research papers and notes, it now includes a record of national rarity committee decisions. We offer small project grants through our Conservation Fund, and to date have provided more than £100k to a range of projects. The EOCA is a charitable organization funding specific projects to support valuable conservation work by raising funds from within the European Outdoor sector and promoting care and respect for wild places. There are currently over 120 members of this not-for profit Association, stretching from Norway to Spain and from the UK across to the Czech Republic. Nominated by World Land Trust, its main conservation partner and EOCA member, the FPWC has received a grant from EOCA in 2014. 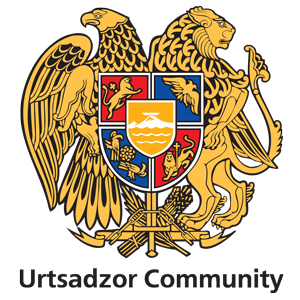 The funds will be allocated for tourism infrastructure development and habitat restoration in Urtsadzor community, Ararat region. HSBC has a long standing commitment to protecting the environment and believes it is fundamental to a thriving society and sound economy – upon which business depends. HSBC supports two projects of FPWC by assisting with research within the frames of the Caucasian Leopard conservation project and by training young villagers in eco-tourism activities which can further provide them with new employment opportunities in rural Armenia. With the support of a small grant provided by the Norwegian Ministry of Foreign Affairs FPWC currently implements a project which aims toinvolve young villagers in nature conservation and ecotourism activities. This project is closely connected with community development in Urtsadzor.Through the project FPWC aims to offer young villagers new employment opportunities as locally available jobs are rare which results to migration. In the frames of the project FPWC develops ecotourism facilities, such as hiking and horseback riding trails, a modest camping area, and a bed & breakfast in Urtsadzor offering natural facilities for rest and leisure. With the support of the GEF Small Grants Programme FPWC is currently implementing the Urtsadzor Eco-training Center project. The core of the project is the set-up of an Eco-Training Center on the communal land of Urtsadzor village. The proposed Eco-Training Center aims to raise the local population’s capacity to use the area’s biodiversity resources sustainably. Moreover, as the village population suffers from poverty and migration due to lacking job opportunities, the Eco-Training Center will offer training courses focused on methods to generate income based on environmentally friendly approaches and nature conservation.